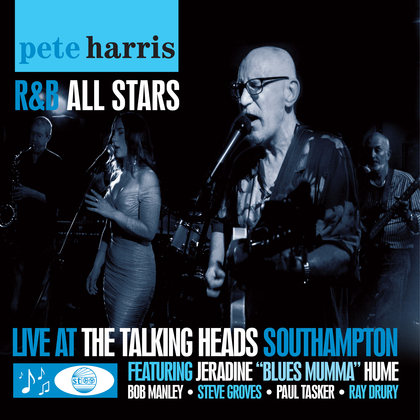 Although they had played together in various combinations for a number of years, it was in early 2014 that the musicians of the Pete Harris R&B All Stars came together as a unit to perform at the Swanage Blues Festival, where, with the addition of young female vocalist Jeradine Hume, they took the festival by storm. Subsequently, they have performed at venues throughout the South of England, building an enviable reputation as an exciting and entertaining live band. The album Live at the Talking Heads was recorded at the Southampton venue on 10th October 2014, with no edits or overdubs, and is a faithful representation of the band’s live performances, combining elements of Uptown Blues, Swing, Funk, And Old- school R&B.